We know that a visit to the dentist can be nerve wracking for many people. Lots of us put off needed dental treatment because of our fears and anxieties of receiving this treatment. Providing high quality dentistry in a calming and relaxed environment is a priority to us. That is why we have equipped each of our rooms with a nitrous oxide delivery system. Nitrous oxide can be an integral part of the treatment process for patients who are affected by anxiety. Often times called “laughing gas,” nitrous oxide is a safe and effective method of conscious sedation. Nitrous oxide gives the dentist the ability to dial in the level of sedation for each patient. 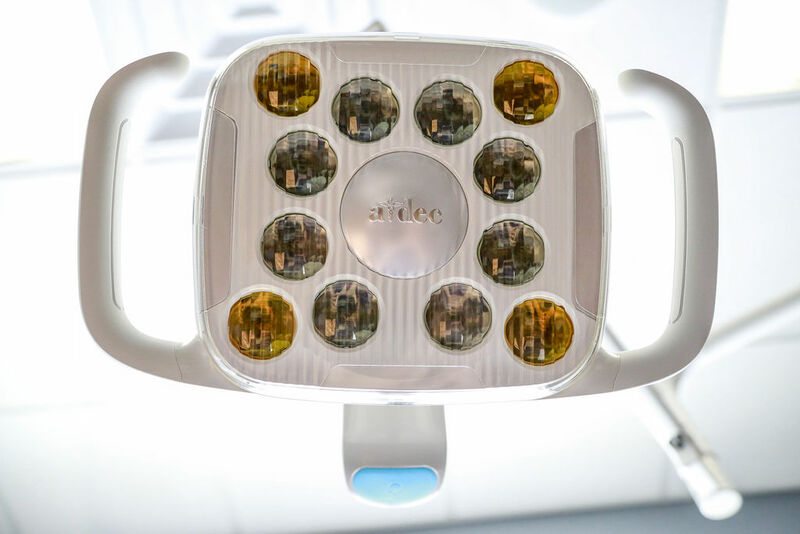 Using this, we can make sure that you are calm and comfortable before we begin your procedure. We will review your health history to make sure that nitrous oxide sedation is appropriate for you. We will bring you back in the chair and get you fitted with a small nasal mask. The staff will begin to administer the oxygen first, slowly adding in the nitrous oxide. You will be told to breathe normally as the staff monitors your nitrous and oxygen levels, you should start to feel the effects in a few minutes. You may start to feel a floating sensation or tingling in your hands or feet. You should start to feel calm and relaxed. The dentist or hygienist will perform the scheduled procedures. When the procedure is finished, the staff will begin to slowly decrease the amount of nitrous oxide flowing through the mask. After a few minutes you will begin to feel normal and will be able to sit up and resume activities, like driving or going back to work and family. Make Your Visit As Comfortable As Possible! Please let us know if you’d like to utilize Nitrous Oxide Sedation for your next dental visit. We’d be happy to answer any questions you might have about the process, just give us a call!